Our range of products include inkjet clear film adhesive and inkjet opaque film adhesive. 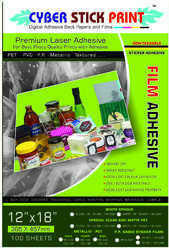 We have specialized ourselves as one of the foremost manufacturers and suppliers of premium quality Film Adhesive. These are intricately designed using latest technology from quality proven materials to ensure excellent adhesive properties. These are widely used in numerous industries for printing media. Our clients can purchase them from the markets at the reasonable prices. 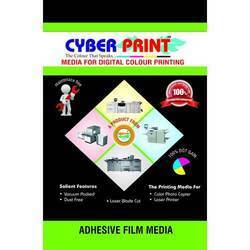 Looking for INKJET FILM ADHESIVE ?